I love markets, I really do...though you've probably already gathered this from reading about the four or so that I visit each week. But sometimes, just sometimes, when the hoard of market-goers is so big you feel as though you're about to have heart palpitations and you're so tightly packed into the isles that you accidentally touch some old guys crouch (though on the plus side, he'll probably never know it was you), you start to wonder if it's really worth it. Because let's face it, no one likes to be pushed up against sweaty strangers...or to touch an old guys crouch for that matter. 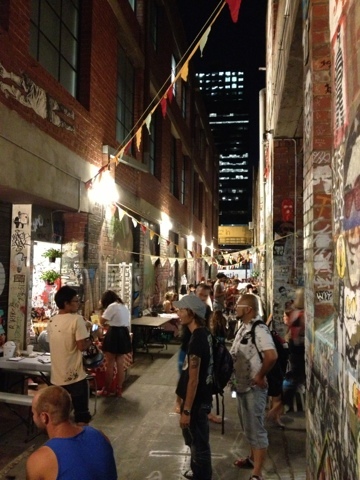 So last night, after a particularly busy session at the Victoria Night Market where, yes, crouches were touched, I felt the need for a little down time and so found myself wandering down to the Blender Lane Night Market, just around the corner. 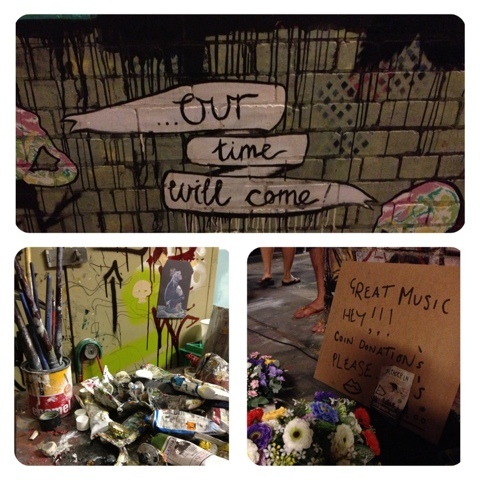 As soon as you turn down the small lane way, there is this ultimate feeling of chill as you're greeting by a bunch of sunflowers and graffiti stained walls. Feeling a little thirsty? 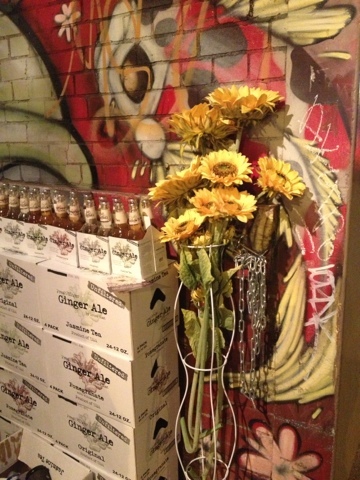 How bout trying some of the Bruce Coast Ginger Ale that's on sale at the entrance. There's original as well as flavours like Jasmine Tea and Pomegranate to keep things interesting. By no means as large as it's Vic Night Market neighbour, there are still some great independent artist displaying their wares at Blender Lane, most of which were new names to me. 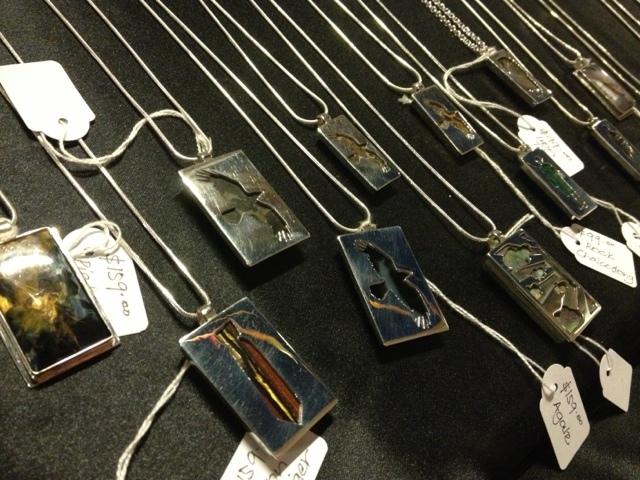 There was the original and androgynous jewellery pieces by Little Wondrous Monkeys, cute handmade accessories from Milky Way Day and beautiful hand made art from Jenna Winship, who can create, almost any image you like, as a cute postcard-sized piece of art. And if you feel as though you need a bit of beard trimming (I know mine can quite often get out of hand), you can take a seat on an old milk crate and get your whiskers (or head) dealt with for under a twenty. 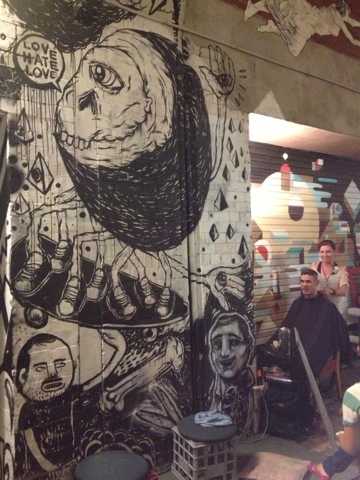 I dare you to find a more hipster place in Melbourne to get your hair cut then in this graffiti riddled lane way. 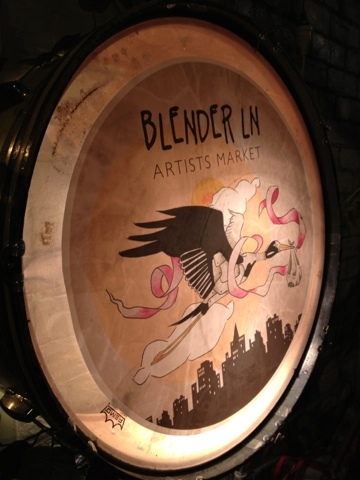 So while you're not greeted by the smells of barbecuing meats, the sounds of live music and a ridonkulous amount of stalls, the Blender Lane Night Market does have a little something special that no other market has. 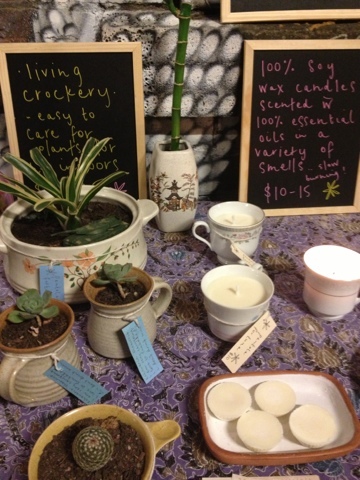 A feeling of laid back cool, arty originality and, well, you don't have to worry about accidentally grouping old men. Unless your into that kind of thing, in which case...as you were.